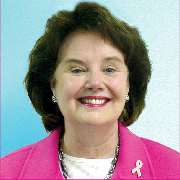 Pat Halpin-Murphy is the President & Founder of the PA Breast Cancer Coalition. Founded in June of 1993, the PBCC is a statewide non-profit designed to extend public awareness of breast cancer, and to encourage increased public and private funding for research, legislative advocacy and high quality screening, diagnosis and treatment. Pat grew up in Philadelphia, earning a Master of Science degree in Economics from Drexel University, a Master of Arts degree in Political Science from the University of Pennsylvania and a Bachelor of Science degree in Education from West Chester University. She had a notable career in state and national government, serving as an advisor to Governor Robert P. Casey, U.S. Senator Harris Wofford and U.S. Secretary of Labor Robert Reich. In 2014, Pat was recognized with a White House Champion of Change Award for her unparalleled work advocating for women's health care and insurance coverage and was honored by Governor Corbett and First Lady Susan Corbett as the first recipient of the prestigious Hannah Penn Award for Civic and Volunteer Leadership. Pat was also recently recognized by the governor as a Distinguished Daughter of Pennsylvania. She has been selected by the National Governors Association to receive its Distinguished Service to State Government Award and honored by the Pennsylvania Commission for Women with the Women Change America Award. As the Pennsylvania Breast Cancer Coalition's Founder and President, as well as a breast cancer survivor, Pat is totally committed to finding a cure for breast cancer now... so our daughters won't have to. Pat is an avid political scholar and committed public servant.